the Chabad Lubavitch sect the cause for his dramatic U-turn? The sect is deliberately fomenting a prophesied Third World War. of God and Gentiles are destined to serve the Jews. Chris Bjerkness agrees: Redemption requires the “King of the Jews” (the Rothschilds) to rule the world after a nuclear holocaust. Jared Kushner attended Chabad House at Harvard. “Israel wasn’t a political discussion for him; it was his family, his life, his people,” said Hirschy Zarchi, rabbi at the Chabad House at Harvard. the Chabad center at Harvard University, which received $150,000 in 2007 (the foundation’s single biggest donation to a Lubavitch-affiliated enterprise) and then another $3,600 in 2013. In addition, the Donald J. Trump Foundation has donated $11,550 to three Chabad institutions. In 2006, Kushner’s father Charles was sentenced to 24 months in prison for making illegal campaign donations & witness tampering. Latest- Russia, Iran say they will respond with force to next US attack 2. US Planning Ground Invasion? Founded in 18th century Russia, Chabad is a branch of Hasidic Judaism, a form of Orthodox Judaism that promotes Jewish mysticism as the path to enlightenment. Chabad Lubavitchers study the Kabbalah, the satanic creed that erases moral absolutes and believes God is ‘subjective’. Chabad came to prominence under the guidance of ‘The Great Rebbe’ Menachem Mendel Schneerson. His policies led Chabad through a period of great expansion establishing institutions in 900 cities around the world. ‘The Great Rebbe’ gave regular talks on the coming of the messiah. Over time, Lubavitchers began to realize that he meant himself. The belief that Schneerson was the Messiah was first openly professed by Rabbi Shavom Dol Wolpo in a 1984 book and quickly gained acceptance. Absurdly, even though he died in 1994 ‘The Great Rebbe’ is still the official leader of Chabad, like ‘Great Leader’ Kim Il-Sung is the leader of North Korea. In Chabad schoolhouses children chant and salute the invisible Rebbe. Chabad believes Jews are God’s chosen people and everyone else is trash. In the book “Gatherings and Conversations” the Great Rebbe tells his followers that Jewish people are an extension of God and Gentiles are destined to serve the Jews. The Jewish Daily Forward reported a talk given by Chabad Rabbi Mani Friedman. Chabad’s extremism makes them perfect apologists for Israeli crimes. A perfect example is Alan Dershowitz, a Chabad member. Dershowitz is the premier Zionist apologist rolled out in front of the mainstream news cameras across the world to explain that Israelis are the victims of every massacre they carry out. An unhinged and creepy individual, during a recent speech he gave at Oxford University he took off his glasses and told the students that he has “Zionist eyes” as do all “reasonable people”, Dershowitz is one of many Jewish extremists in sheep’s clothing who lead mainstream political discourse in the West. As further evidence that Wikileaks is an intelligence operation, Dershowitz recently joined Julian Assange’s legal team. Where is Chabad’s influence the greatest? You guessed it- the US. Rabbi Shemtov is Chabad’s Washington representative, and his enormous influence was illustrated when he lobbied successfully for the Great Rebbe to be posthumously awarded the congressional gold medal in 1995, the only religious leader ever to be given the award. Members of the cast of ‘Friends’ recorded a piece for a Chabad telethon. Bob Dylan appeared on another. Wayne Madsen writes: ‘In Bangkok, Israeli military pilots and drivers who stay at the Chabad House there train Thai Army commandos, divers, and pilots who are fighting a Muslim secessionist movement along the southern border with Malaysia. Chabad are allowed to exist as a powerful international force because they serve Israel in two ways: working with them in intelligence and criminal activities, and a source of extremist ideology to fuel Zionist crimes. Thanks to David Livingstone for the tip! 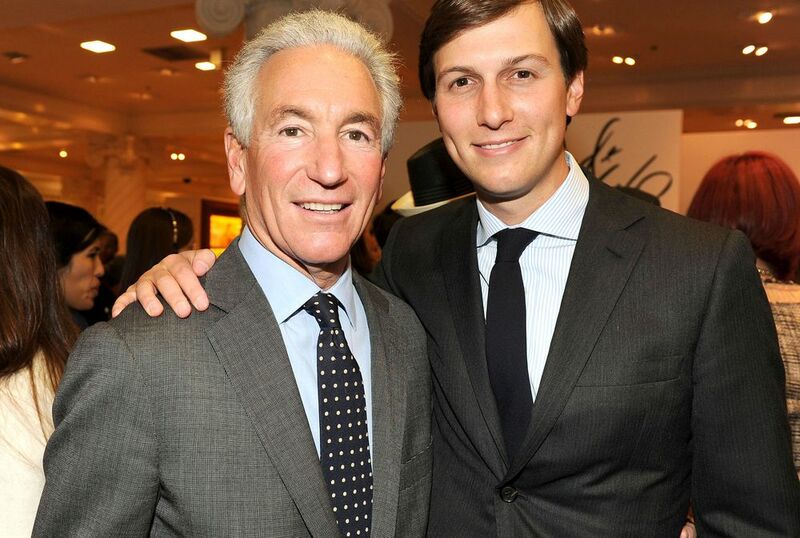 RELATED – Brother Nathaniel The Kushner family gave Trump his start in New Jersey, (couldn’t quite break into Jew York yet); funded his campaign from the get-go; and came collecting, putting sonny-boy as daddy-in-laws’ right hand man.